Curving features at the source of Athabasca Valles. 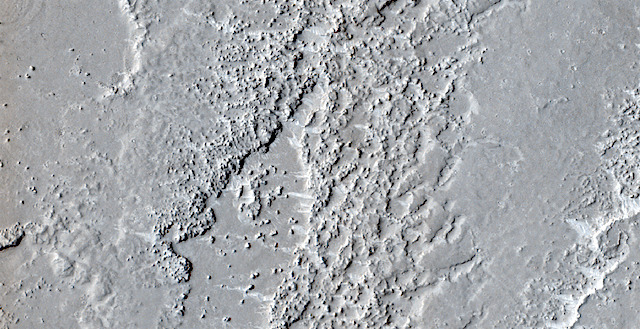 These curving features are likely due to lava surges near the vent of Athabasca. This entry was posted in Reports and tagged Athabasca Valles, Beautiful Mars, High Resolution Imaging Science Experiment, HiRISE, lava flows, Mars Reconnaissance Orbiter, MRO, NASA, University of Arizona, volcanics. Bookmark the permalink.